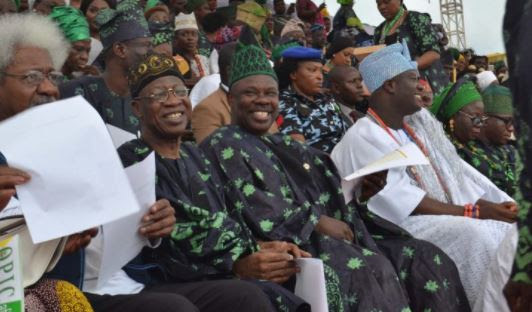 ABEOKUTA ㅡ When Governor Amosun beat the drum to commence the third edition of the African Drums Festivals 2018, performers from across Nigeria and Africa went agog and attendees were not left out in the excitement as they watched the performers dance exuberantly to the rhythms coming from different drums as Africans danced in oneness on the drum stage of magnificent look. 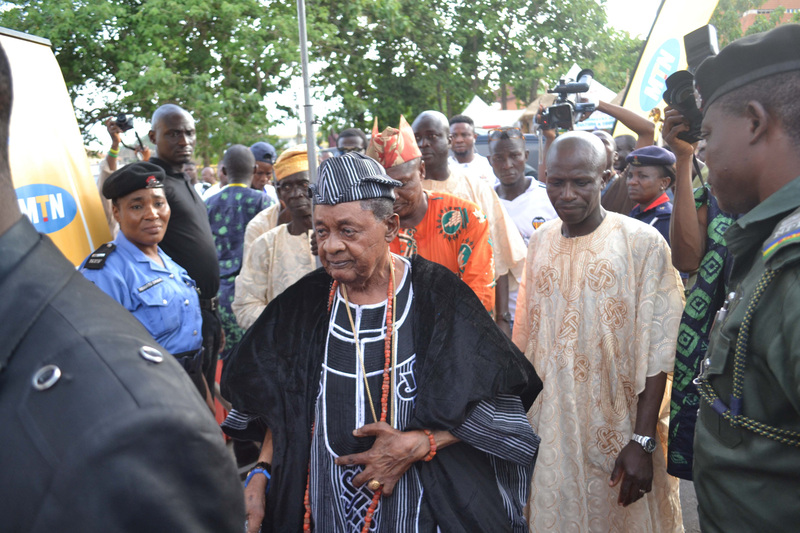 The three-day event held at the Cultural Centre, brought together individuals aplenty – Adedotun Gbadebo, Alake of Egba land; Lamidi Adeyemi III, The Alaafin of Oyo; Adeyeye Ogunwusi, Ooni of Ife; The Etubom Ekpo, Obong of Calabar; Lai Mohammed, minister of Information and Culture; Wole Soyinka,Nobel Laureate and many others. It was a marvelous evening and it carried on that way with performers from across Nigeria having attendees dazzled with renditions of various procession to better thrill everyone. Day-two was all about sounds of magnificent thrills by performers from countries across the continent and this brought back the previous day of captivating scenery of Africans in one dance on the drum-stage and stirred up thoughts of Africans having varieties of rhythms just as we have resources but we rarely identify with them and that diminishes the uniqueness of our heritage, according to one participant of the festival. 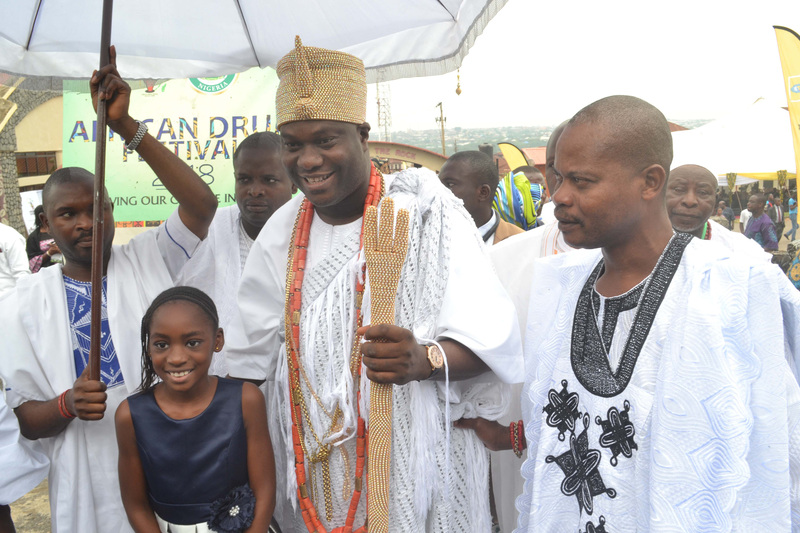 TravelogueTV gathered that business also thrived at the African Drums Festival 2018 and this was made known by Bolanle Akindele of Stitches by IMAK. Mrs. Akindele a creative personality with a wealth of style that makes her works exceptionally amazing, does more of unique stitching and attends to people’s needs said that sales has been booming. Kemi Akinola of Arewa TM also disclosed to traveloguetv that the patronage has been very encouraging owing to awesome sales made so far at the ADF 2018 ㅡ evidently, this seconds the perspective of tourism as a serious business. Commissioner for indigenous Art Works, Culture and Tourism, Diaspora Affairs, Anambra State, Mrs Sally Mbanefo danced approvingly well to different rhythms of the sophisticated instrument that africanised the atmosphere and identified with what the drum is to the people of ogun state. “This festival will be sustained because we will support them..We will give our support”, Mrs.Mbanefo said to Ms Iloaze dancing her way to the Atilogwu dancers of Anambra. Trending on, is the talk of tourism potentials being identified as unending but with those in the know of this realisation, coming up with different captions. The recent caption now is tourism is the new direction and this is credited to Edo state Commissioner for Arts, Culture,Tourism & Diaspora, Osaze Osemwegie-Ero. “Tourism in Nigeria should be the new direction trending for every economy or country”, Mr.Osemwegie-Ero said. The final day ended with fireworks of beautiful colours that beautified the evening sky and this gave a good ending feeling to everyone. Cash prize was won by performers . Ofadaboy, Tobi Fletcher whose father was the first to plant the ofada rice (which is why he proudly calls himself ofadaboy) was also at the African Drums Festival 2018 to support the event with entreprenuership aid ㅡ owing to his believe that as an entrepreneur he should support Nigeria even through food, he ensured the ADF 2018 had his ofada taste and with him was soured garri, fish, prawns and with Ayamase sauce for the ofada rice.